Submitted by peter on 3 January, 2009 - 18:27. In this article we take a look at the Chevrolet Volt and try to work out if it is really worth waiting for. 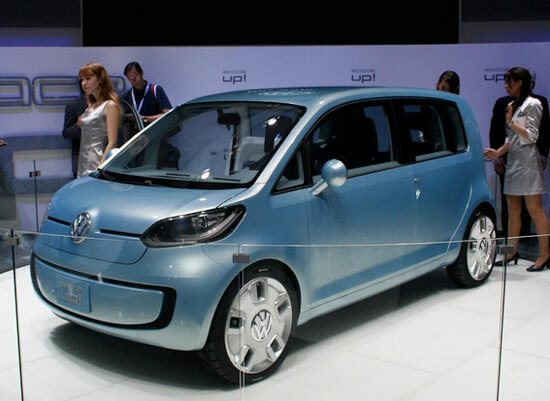 Will it actually give the Prius a run for its money? Is it the way forward? The Chevrolet Volt is GM's answer to the assault of the Toyota Prius. The Prius is the top selling hybrid car in the world. When the Volt project was announced, oil prices were climbing steadily higher, pushing more and more buyers away from the SUVs that GM had been enjoying so much success with in the preceding years. GM finally woke up to the threat posed by a combination of high oil prices and the apparent surge in popularity of affordable hybrid cars. The company reacted in true American fashion, by setting their engineers a seemingly impossibly difficult task to complete in an impossibly small time frame. The Volt was that task. Submitted by peter on 23 December, 2008 - 12:36. GM/Holden is to take advantage of a Federal Government AUS$6 billion car plan, and build a four-cylinder car in Australia starting in 2010. 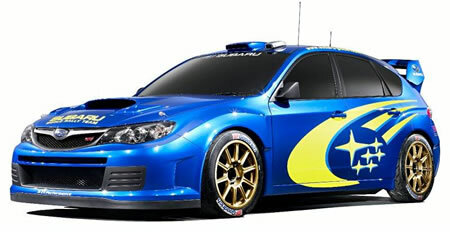 The car is to be based on the Chevrolet Cruze, a global car that GM hopes will help to turn things around. Submitted by peter on 17 December, 2008 - 09:41. Recently the "Global Economic Melt Down", "financial crisis", or whatever you want to call it, has been taking its toll on the motor industry. While some automakers are attempting to seek government support to stay alive, all automakers are scrambling to find ways to cut costs and save money. Unfortunately for fans of motor sport, this means less money is being directed towards motor racing. Honda's decision to withdraw from F1 set the scene. Up until then, much of the focus was on GM, Ford, and Chrysler. Honda's reason was simple: money. 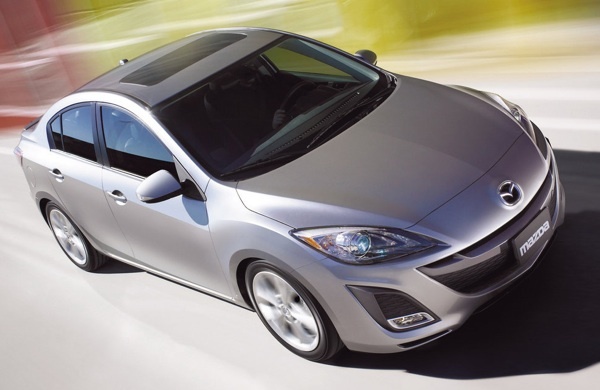 2010 Mazda3 Still Years Away? Submitted by peter on 8 November, 2008 - 00:35. 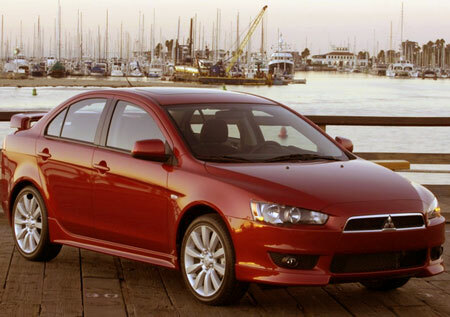 Images of the 2010 Mazda3 sedan surfaced a few weeks back. They show a car that is heavily infulenced by its big brother, the 6, while still managing to retain a sporty and youthful appearence. Submitted by peter on 27 September, 2008 - 08:08. This is the first time I get to write about the new Chevrolet plug-in hybrid, as there is finally a Thai connection to the story. 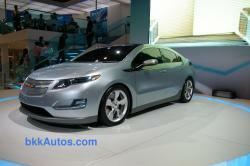 According to the source, GM could bring the Chevrolet Volt to Thailand as early as 2011. The decision to bring the new car to Thailand is not all that surprising, and could eventually pave the way for local assembly in Thailand. What is this Volt thing? Unless you've been sleeping under a rock, it's unlikely that you haven't already heard about the Chevrolet Volt. If you simply google the word "volt" you'll get some indication about how important the Volt has become. Submitted by peter on 8 April, 2008 - 10:13. Car shows in Thailand are basically glorified showroom. Thankfully some of the car makers still get the idea, and offer at least one concept car. 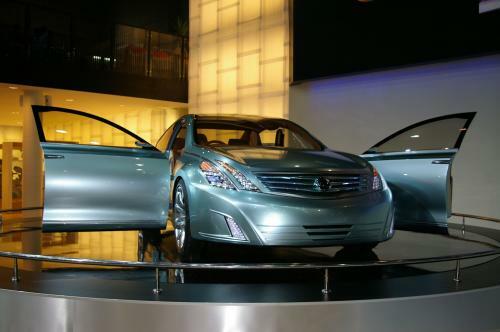 At the back of the Nissan display, on a raised revolving platform sat the Nissan Intima concept. Ask the "expert" analysts about the Thai auto market and they will tell you things like: The Thai public hate hatchbacks, they want big cars with big boots, and they want pickup trucks. I think the "experts" are wrong. I think that the Thai motoring public would lap up a Eco-Car, and the sooner Toyota bring the Aygo to Thailand the better. 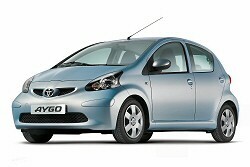 Of course there are other small cars that could come to Thailand, but the Aygo has the most going for it. First.... it's a Toyota, the company that dominates virtually every segment of the market in Thailand. Submitted by peter on 19 December, 2006 - 18:09. Windscreen fogging, although not much of an issue in Thailand, is set to be combated by nanotechnology. Apparently an electrically conductive coating which uses nanotechnology can be applied to the windshield across its entire surface, and heated to deal with fogging â€“ without the problem of obstructive wires present in the rear window heaters currently in use. According to Nanowerk the technology might make its way to market in the next couple of years. Submitted by peter on 6 November, 2006 - 11:28. 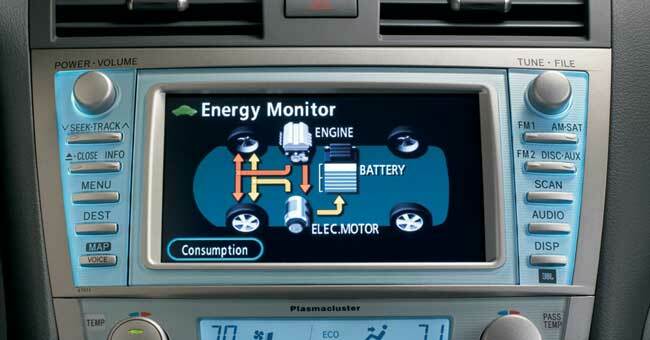 The Toyota Prius has been an option for environmentally conscious motorists since 1997. Almost a decade later a visit to Toyota Thailand's website contains a short flash presentation of the Prius with the message: "To the Power of Hybrid - Get ready for the new journey." Are Toyota hinting at a forthcoming release of the Prius on the Thai market? Is the timing right? Will it sell? Should it sell? Submitted by peter on 3 October, 2005 - 19:48. Moller International. Ever heard of them? "Take the most technologically advanced automobile, the Ferrari, Porsche, Maserati, Lamborgini, or the more affordable Acura, Accord, or the like. It seems like all of the manufacturers of these cars are touting the new and greatly improved "aerodynamics" of their cars.